In the first groundbreaking volume of a new series, acclaimed Napoleonic scholar Gareth Glover brings together previously unpublished material relating to the Battle of Waterloo. The range and unique nature of much of the research will intrigue and fascinate enthusiasts and historians alike.The wealth of hitherto unseen British material contained in Volume I includes: a series of letters written by a senior officer on Wellington's staff to Sir Thomas Graham immediately following the battle; the letters of a member of the Wedgwood family in the Guards at Waterloo; the journal of Sergeant Johnston of the Scots Greys, detailing all his experiences, including a very rare transcript of his own court martial; and letters from eminent surgeons - including those of Hume, Davy and Haddy James - who recall their harrowing tales of the horrific wounds suffered at Waterloo. 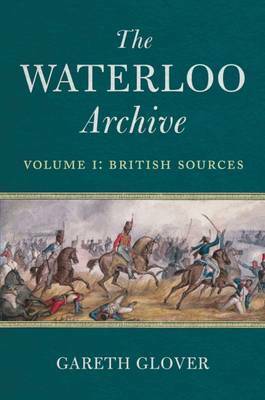 In addition to these letters and journals, this volume will include 21 original line drawings created by Cavalie Mercer to accompany his famous book on his experiences at Waterloo, but which was never published. Subsequent volumes will include French, German, Dutch and Belgian material that has never been translated into English before.